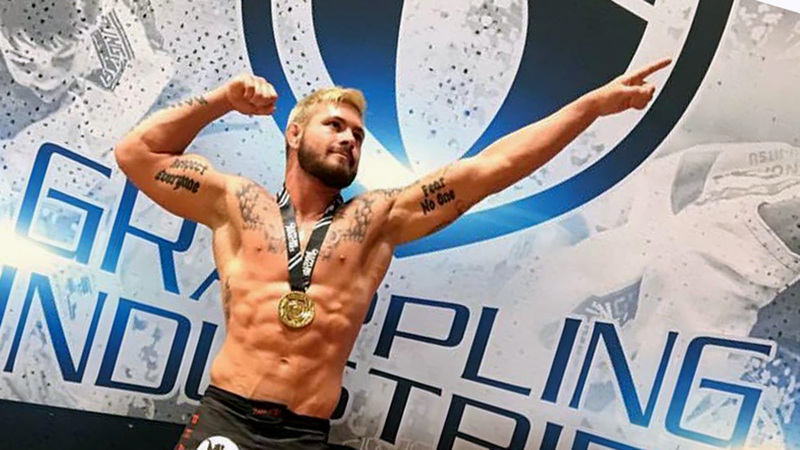 One of the Danaher Death Squad’s most notorious members has topped his bitter rival, Dillon Danis in the main event of Polaris 5. The two had a lot of animosity coming up to the match. But when it came to the actual match, the two were as civil as could be. Garry went to his back and Dillon tried to pass. The rest of the match told a similar tale. Tonon also utilized his leg lock expertise to put Danis on the defensive. Dillon, however, was able to explode out and get away. Garry scored a couple of nice takedowns during the match, hitting a double leg. Dillon also showed some aggression, attempting some back takes, but he was never able to get anything. Over all, Tonon showed much more aggression, and along with his takedowns, that earned him the win. AJ Agazarm may not have been the fan favorite, but he is coming out of London with an impressive submission win. As Agazarm got on Lloyd’s back, rolled his opponent, and tapped him out with a simple two-collar choke. Though AJ shook hands with his opponent, he wasn’t about to forgive the crowd. He blamed them for Cooper’s loss and almost got hit with an item of clothing that someone threw from the audience. Jake Shields has earned himself another grappling victory, coming out of Polaris 5 with a majority decision win over Dan Strauss. Oliver Taza will be walking out of Polaris 5 with a unanimous decision victory over his opponent, Ross Nicholls.